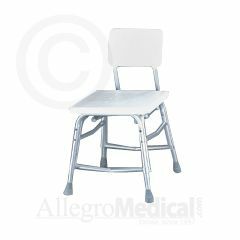 The Bariatric Shower Chair has a curved seat design that provides comfort and support. It also features a slip resistant seat and backrest. Will this chair fit in a standard tub facing the tub faucet?